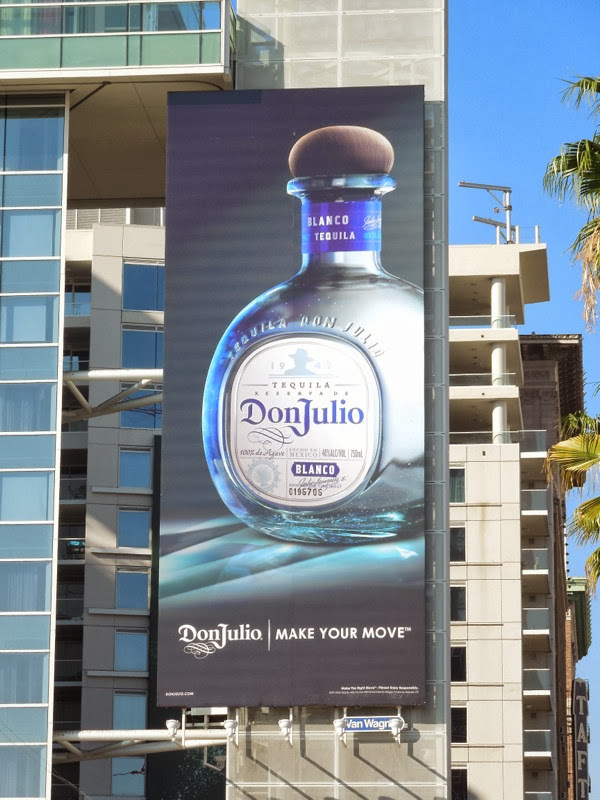 'Tis the season to be jolly and what better way to enjoy the festive parties than with some Don Julio Tequila. 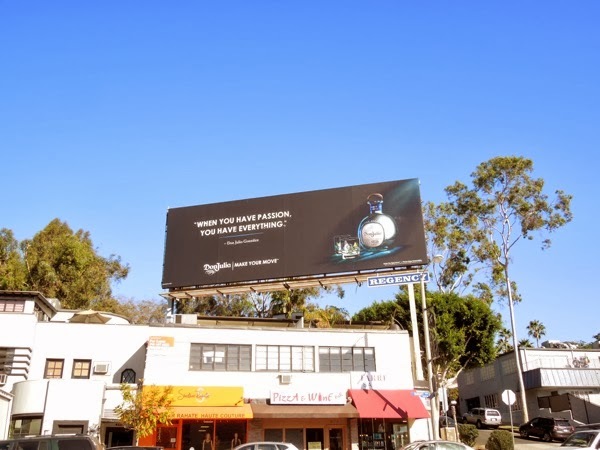 Even though the tequila brand's ad creatives remain fairly consistent in execution, they've changed their slogan from 'Know your tequila' to 'Make your move'. 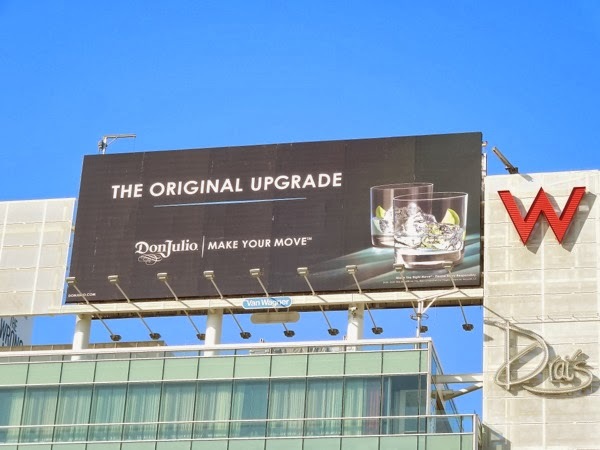 To see for yourself, be sure to check out these previous Don Julio Tequila billboard ads from 2010 to 2012. 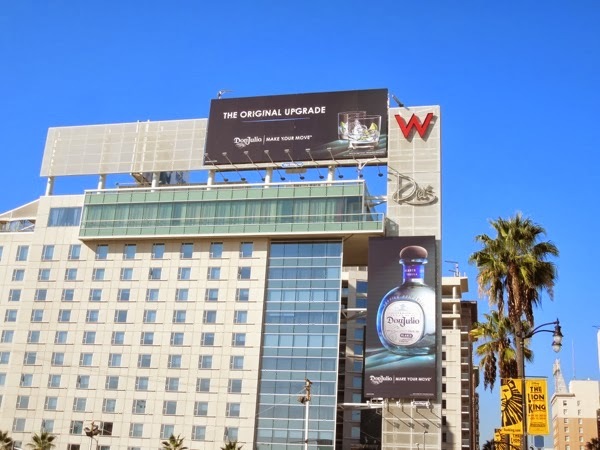 These new billboards were snapped on the side of the W Hotel in Hollywood on November 11, plus the landscape and portrait versions were spotted along Sunset Boulevard from November 13 to November 24, 2013. 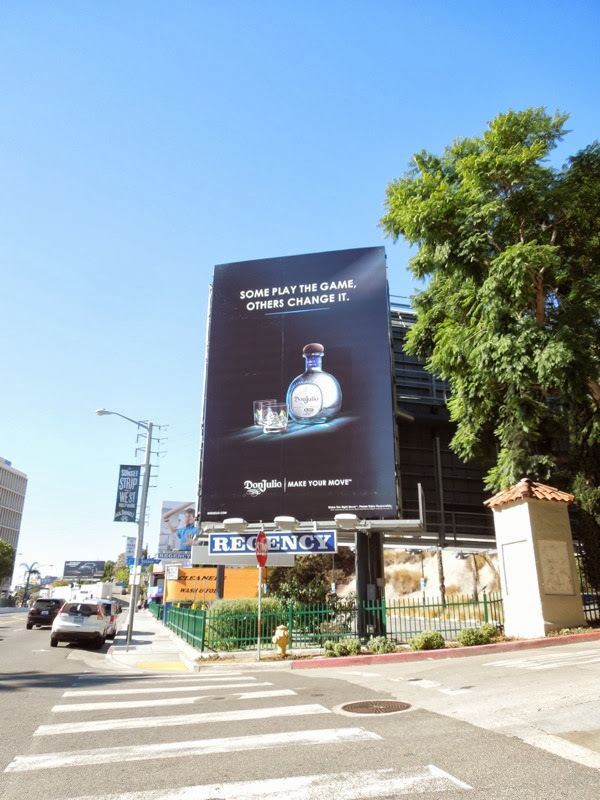 To ensure you have a very merry Christmas this year, be sure to enjoy all these other tequila brand billboards too.